A San Francisco based company, Murgency Inc, run under the leadership of Shaffi Mather; an Indian American entrepreneur is committed to launch its emergency care services in India. With an objective to create a One Global Emergency Response Network, the company is focused to make available the emergency cares services across the developing nations. The app platform will be launched in the region of Punjab initially in India. 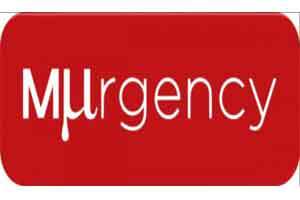 MUrgency is a mobile application which provides access to your nearest emergency responder (doctor, nurse, ENT, paramedic, ambulance etc.) as per the accessibility in the situation. The app also helps you connect responsively with your trusted group of people, who are also the users of the app. This network can essentially guide you for an emergency aid, by keeping your requirement in the loop. According to some recent WHO updates, there are around 6.25 billion people who lack response from an emergency care unit. With such a system in place, patients suffering from lack of timely care than from Aids, TB and malaria, can get an instant aid from a robust mobile networking system.